Vegan chocolate pecan pie may sound like an oxymoron, but it's not! With dairy-free substitutions and additions to a traditional recipe, there's no reason why vegans should have to skip out on having a slice of decadent pie. Vegan chocolate pecan pie is an amazing treat that is especially successful as a holiday dessert. Friends and family members will never be able to guess it's dairy-free, since it can taste every bit as luscious as any other version of the pie. To fully savor the combination of flavors, serve the pie warm with a scoop of vegan vanilla ice cream. Butter figures heavily into most conventional chocolate pecan pie recipes, as does chocolate. Although the purest forms of chocolate are vegan, be sure to check ingredient lists in the chocolate or chocolate chips that you'd like to use because some harbor milk solids or other animal-based ingredients. The chocolate, pecans and other ingredients you use will deeply affect the final flavor and texture of the pie, so get the best quality vegan baking supplies you can afford. For a truly flaky crust, handle the dough as little as possible, and keep it chilled at all times. Chill equipment and ingredients before using them, and roll out pie dough with a chilled rolling pin rather than pressing it flat with your hands or pushing it into the pie plate with your fingers. To prevent the crust from becoming misshapen or harboring air bubbles, poke holes into it with a fork or blind bake it with weights in the pan. 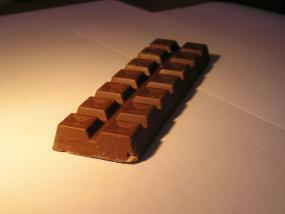 Some people enjoy using non-standard crust recipes for especially sweet pies, such as French silk or chocolate pecan. If that's your preference, try forming a loose crust with dairy-free graham crackers, oatmeal cookies, shortbread or other sweet biscuits crumbled finely and mixed with some oil or a melted vegan spread. Push the sweet crust into the pie plate and up its edges, and smooth the bottom with a large spoon. Choose high-quality, dairy-free chocolate for your pie. Any vegan chocolate pecan pie you make will taste best when it features your favorite ingredients and flavors, so feel free to tweak the below recipe to your preferences and add or subtract items depending on your taste. Preheat the oven to 350 degrees Fahrenheit. Blind bake your pie crust for 10 to 15 minutes. In a saucepan set over low heat, slowly melt dark chocolate pieces with the sea salt, vegan spread, brown rice syrup, maple syrup, and bourbon or Kahlua (if using). Whisk the mixture frequently. When it's smooth, remove it from the heat and whisk in the arrowroot powder and toasted, chopped pecans. Pour the chocolate mixture into the blind baked crust, and put the pie in the oven. Bake the pie for 35 to 45 minutes, until the filling is set and the edges of the crust are light brown. 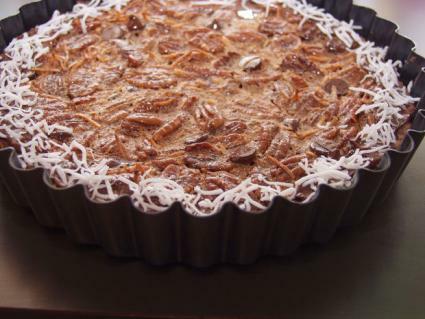 While the pie is still warm, press whole toasted pecans into the top in a decorative pattern. Let the pie cool or sit overnight before serving. Whether you use the tips above to convert your own chocolate pecan pie recipe or you use the recipe on this page, it really is possible to create a vegan pie that's as delicious as any made from a traditional recipe. Give it a try, and you just might add this dessert to your list of favorites.